Born in 29th November 1936, she’s a former member of parliament and a scholar. The story of Julia describes one of a Kenyan who beyond all odds rose to gain respect for women in a male dominated society. She’s the current chair of the Labour Party of Kenya and the founding Professor of the proposed Scientific and Technological Applied Research and Training for Women. In 1959 she had her Diploma in Education from University of Nairobi. In 1965, she attained an Academic Postgraduate Diploma (Applied Human Nutrition) from the London University. In 1969, she had her M. Sc Public Health (Nutrition) from Harvard University and a Ph. D (Human Nutrition) from a joint programme by University of Nairobi and McGill Universities. In 1965 – 1968 she became the first African woman warden of University Women’s Halls of Residence. She was the first Female MP from western province in Kenya after winning the Funyula Constituency seat in the 1974 General Election. She also became the second woman to be elected MP after Mrs. Grace Onyango of Kisumu Town. 1974-1979 Assistant Minister for Housing and Social services becoming the first woman to be appointed as an assistant minister. In 1975, she attended the first United Nations Conference on women held in Mexico. 1979-1983 She was appointed as Assistant Minister for Education. 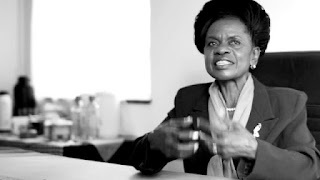 In 1980, she successfully negotiated for the establishment of Kenya Institute of Special Education (KISE) with the support of Danish Government. As a Research assistant at the Teaching Hospital Mulago in Kampala, she developed a protein-rich biscuit that was used in the treatment of kwashiorkor in the infantile Malnutrition unit and the whole of East Africa. In 1985, she led the Kenya delegation in the United Nations Conference on women held in Nairobi. In 2003, she was nominated Member of Parliament by NARC and became a member of the Public Accounts Committee. In her true championing of women rights, she became a member of the Parliamentary Women Association and was instrumental in its existence, the same year. She has also served as an executive director for the International Centre for Health Development and Research (ICHDR) and a commissioner on the Higher Education Board. She has written over 100 scientific publications on nutrition and books such as ‘Trees of Kenya’ published in 1978. In the 2007, general elections she was the running mate for presidential candidate Stephen Kalonzo Musyoka. In February 2007, she was awarded the Kenya Coalition for Action in Nutrition (KCAN) Nutritionist of the Year.